We are also involved in engineering Bar Cutting Machine that is fabricated using superior quality iron and steel. Based on latest technologies, these are capable of performing the cutting task efficiently and perfectly besides providing full security to the operator. These are designed to perform multiple tasks at a time and are available at industry leading prices. This machine can be found in many residential and commercial construction sites, where people use it for cutting TMT bars. It can be moved easily on construction site. 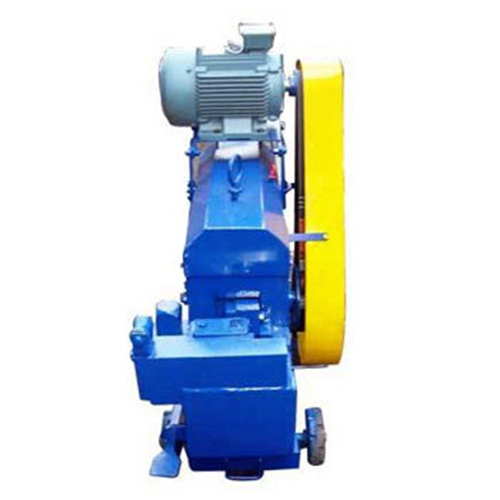 This mechanically operated machine is designed to withstand the stress during operation. The sturdily constructed bar cutting machine is light in weight and easy to operate. First time users will be amazed by the cutting accuracy they will achieve in one-shot cutting operation. The cutting accuracy feature of this machine also minimizes the use of labor. We offer this machine in five models, to meet the diverse demands of the building and construction industry.